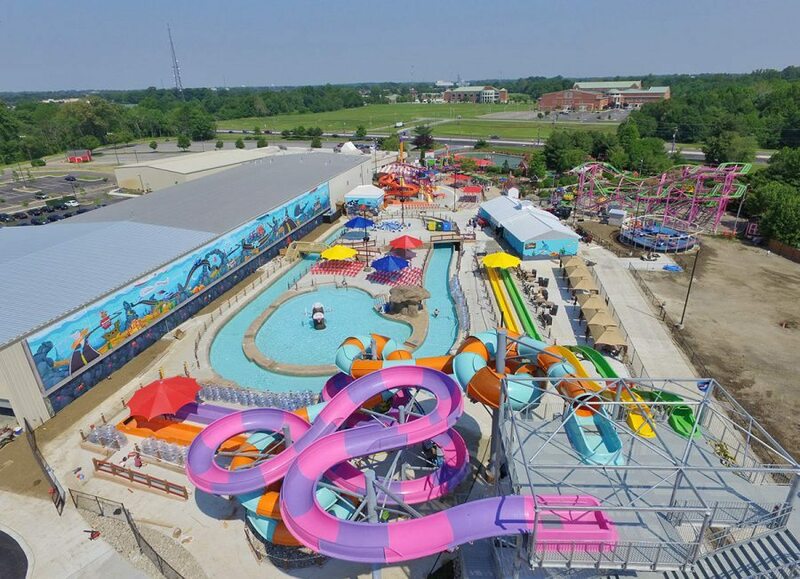 Funplex recently held a grand opening for its expansion water park, as guests got wet and wild at South Jersey’s newest attraction, Splashplex. Visitors are greeted with a new five-story high slide tower, two 45-feet-high speed sliders, an inner tube tunnel slide, and a 500-foot lazy river that takes guests on an under-the-sea raceway journey around the entire water park. Last fall, Funplex celebrated its 16,000-square-foot indoor addition, The Boardwalk at Funplex, where families can enjoy indoor entertainment with new boardwalk games, Tilt-A-Whirl, a Go-Kart track, and other adventure games. Taylor Wiseman & Taylor provided the site/civil engineering for the project, including grading, drainage, stormwater management, parking layout, water and sewer systems.